Another 311 is coming soon. Nearly one year has passed since the awful and unprecedented disaster. 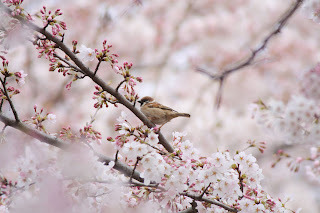 There are still tons of problems to be faced and solved in Japan, but the seasons turn and another Sakura season will arrive soon. We cannot give up. We should keep moving forward even a step by step. Sakura is dear and means a lot to Japanese. Since the olden times, the flower has been comforting us and lifting our spirits in pain and in pleasure. Hope Sakura will bloom beautifully again throughout the country including Tohoku area. May all victims’ souls rest in peace. And once again, "Arigato (Thank you)" for all of your concerns about Japan.